What do an electrician, a nurse, a probation clerk and a United Nations diplomat all have in common? 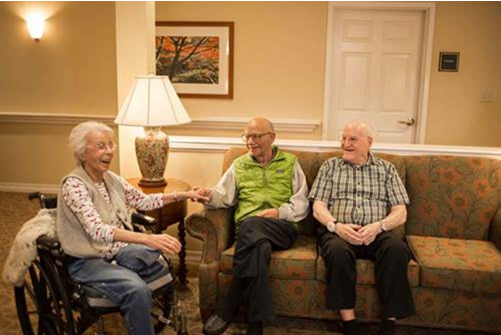 While this might sound like the start to a joke – the real answer is that all of these individuals are friends and residents at Ashland Farm at North Andover, one of 29 Benchmark Senior Living communities in Massachusetts. 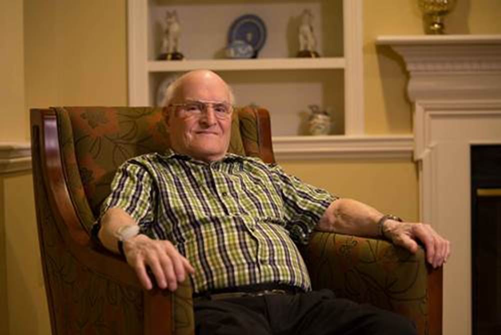 One of five children born to Canadian immigrant parents, native-French speaker Leo Lacroix worked as a master electrician in Haverhill, Mass., and southern New Hampshire for 22 years. If you ask him about his career, he’ll quickly tell you he wishes he were still out in the field today. Leo came to Ashland Farm in 2016. 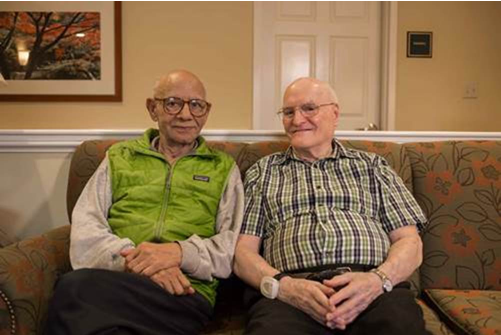 His constant, contagious smile allows him to make friends quickly and easily, and he thinks of all the residents at Ashland Farm as brothers and sisters, including Terry Hill. Terry Hill always knew she wanted to be a nurse. She has always loved helping others and spent her career at Clover Hill Hospital in nearby Lawrence, Mass., as an RN. A resident of Ashland Farm since 2015, Terry quickly befriended residents Reah and Helen, with whom she frequently plays rummikub, a game combining elements of rummy and mahjong. She is grateful to the community’s staff for providing her with the additional help she needs as she’s gotten older. 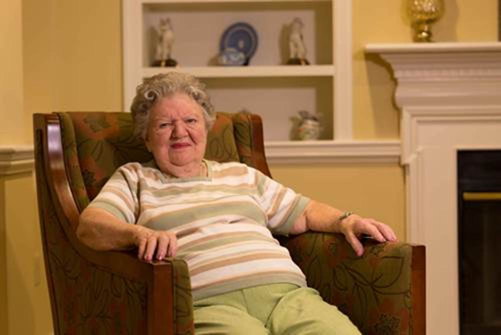 The staff describes her as a very friendly woman with an exceptionally positive outlook on life. It’s this positive attitude that has allowed her to continue to help others – her sunny personality is just infectious – and make friends with former court clerk Nancy Bouchard. Nancy Bouchard considers the Lawrence District Court her “place of higher education.” While she began her career in a more secretarial role, one of Nancy’s coworkers introduced her to the idea of court clerking. She was ultimately responsible for the court's accounting of all arrests and sentencing placements. One of five sisters, Nancy lost her parents at a young age and was raised primarily by her oldest sister. 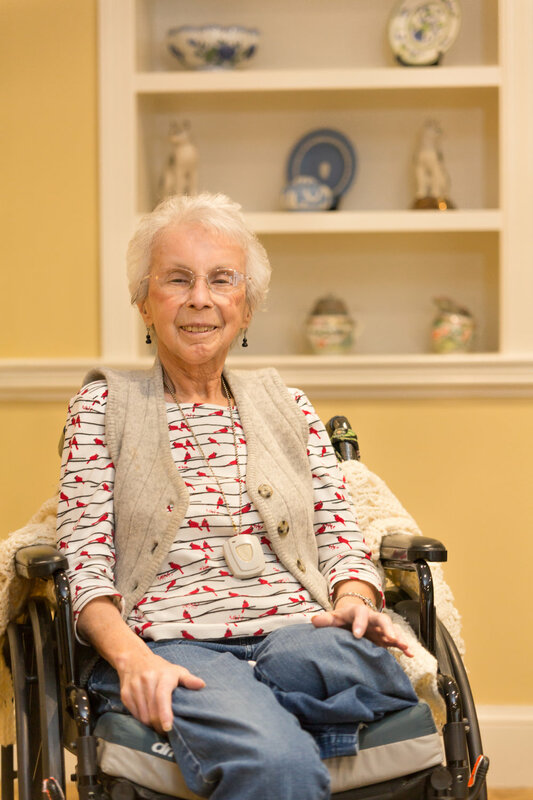 Although Nancy’s arrival at Ashland Farm in 2016 was somber, as she was mourning the loss of her husband, she quickly immersed herself in a number of community activities. Soon she found herself singing throughout the community, cheering up other residents and sharing a friendship with Naeem Rathore. Before Dr. Naeem Rathore retired, he experienced a successful career working for the United Nations, during which he negotiated a peace treaty in Kashmir between Pakistan and India and drafted the Latin American Nuclear nonproliferation treaty. One of eight children and a graduate of Columbia University, Naeem came to Ashland Farm in 2015 to be closer to his daughter. 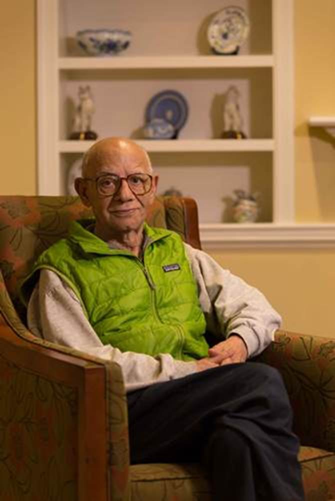 He has enjoyed his time at Ashland Farm, finding the residents to be very interesting and friendly, and he loves the friendships he’s made with fellow residents like Nancy, Terry and Leo.